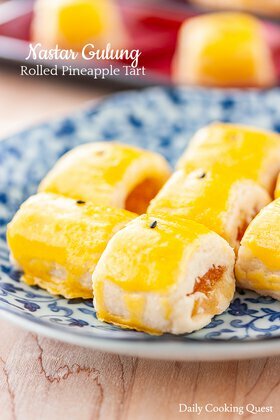 Most Indonesians prepare nastar (pineapple tarts) for festive occasions, such as Chinese New Year, Christmas, or Idul Fitri. 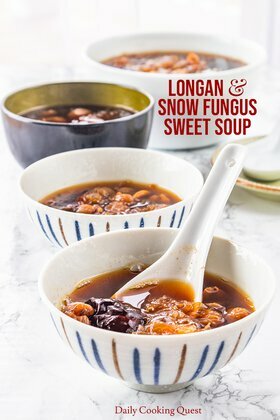 They are delicious, but can be time consuming to make. 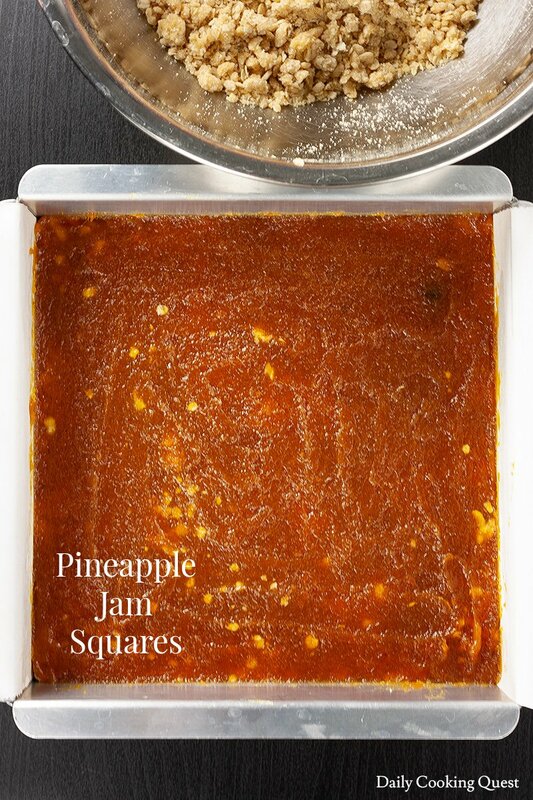 I only make nastar once a year, and for any other day when I need a quick nastar fix, I make this pineapple jam squares instead. 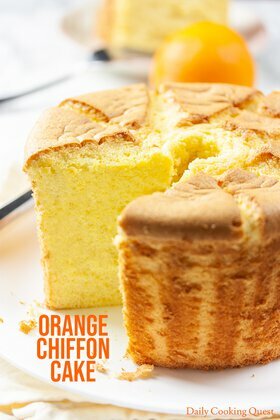 They are just as delicious, but come together very easily and quickly. I prefer making my own pineapple jam because I can control the sweetness, and also because I like infusing the jam with cinnamon and cloves. 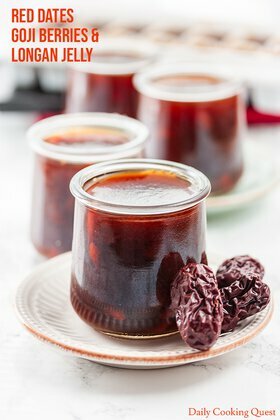 If you have favorite pineapple jam recipe for making nastar, feel free to use that, but do stop the cooking process while the jam is still quite spreadable. Unlike nastar, the pineapple jam for this recipe needs to be spreadable. If your jam is too stiff, you can always add a bit of water to soften. Or, if it is spreadable but cold because it is just out from the fridge, simply scoop out the required amount, and microwave for 30 seconds or so to soften it a bit. The second part of the recipe is the cookie dough. It is a very simple dough, almost short-bread like, but healthier because of oats! You need all-purpose flour, oats (old fashion is best, but use whatever you have), brown sugar (dark is best, but light is okay too), baking powder, salt, unsalted butter, and egg. Just mix everything together into a coarse crumbly texture to make the dough. A spatula is all you need, very simple. 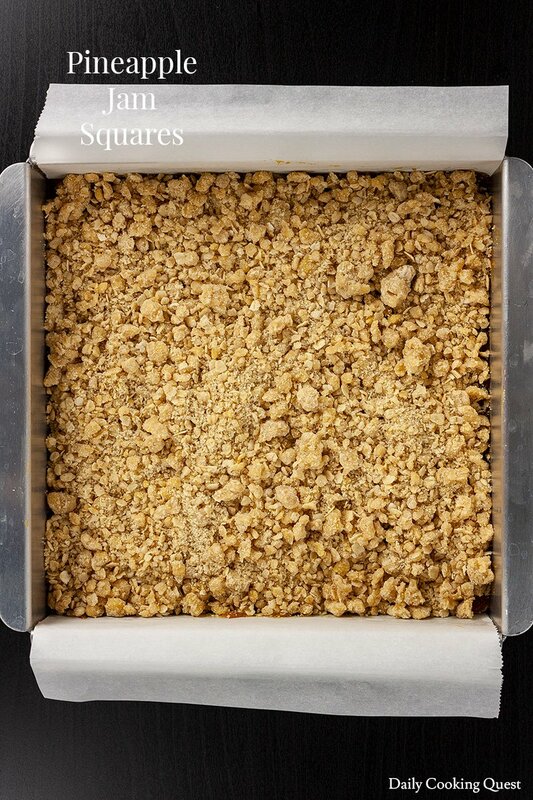 Grab an 8” square cake pan, line it with parchment paper. You want the paper to overhang so you can just grab the overhang to release the baked cookie. Press 2.5 cups of cookie dough into the pan to make the base, then spread the 1 cup of pineapple jam, and cover the jam by crumbling the remaining cookie dough on top. Bake in preheated 180 Celsius (350 Fahrenheit) oven for about 40-45 minutes until golden brown. Be sure to let the cookie cool completely before removing it from the pan, and cut neatly with a knife into squares. Cut into tiny 1” squares to get 64 squares. 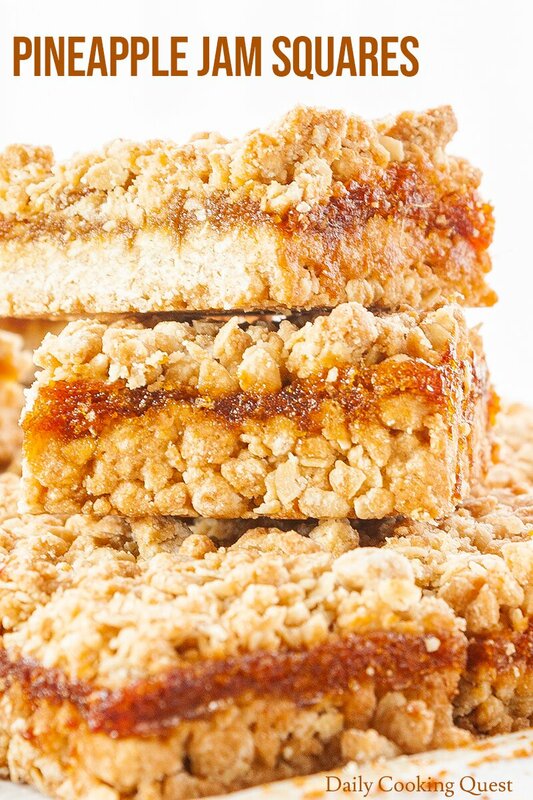 Or go bold and cut the whole pan into large 9 squares! Preheat oven to 180 Celsius (350 Fahrenheit), and line a 8"x8" square cake pan with parchment paper with an overhang to make it easier to release from the pan later. In a large mixing bowl, mix together all-purpose flour, oats, brown sugar, baking powder, and salt. Pour melted butter and mix well, then add the egg and mix again. This is our cookie dough mixture. Place 2 1/2 cup of the cookie dough mixture into the prepared pan, press to make the cookie base. 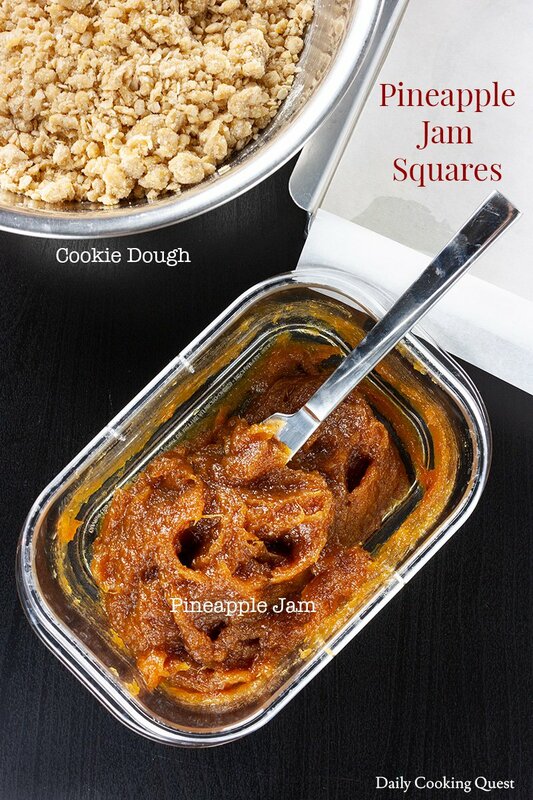 Spread the pineapple jam over the cookie base, then crumble the remaining cookie dough mixture on top of the jam. 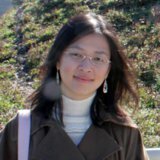 Bake in the preheated oven for about 40-45 minutes, or until the top is golden brown. Remove from oven and let the cookie cool completely in the pan. Gently remove cookie from pan (that's why you want the paper overhang, to make this step easy), cut neatly into squares. You can cut however large or small you want, from 1"x1" tiny squares (64 tiny squares total), all the way to large 9 squares. Store leftovers in air-tight container.